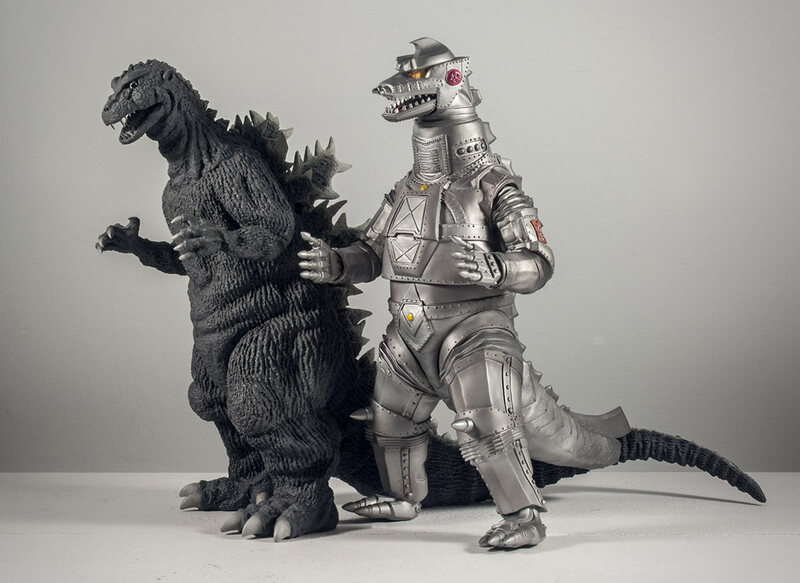 Kaiju Addicts X-Plus Mechagodzilla Review Preview – SKREEONK! Here’s a quick peek at some shots from my recent Kaiju Addicts Review of the X-Plus Toho 30cm Series Mechagodzilla 1974. This figure was reissued by X-Plus exclusively for the North American market and was distributed by Diamond. The original was released in 2011 and quickly became rare and pricey. If you’ve ever had your eye on this figure, now is the time to hunt it down. I’m not sure why but for some reason I always thought this figure seemed kind of plain based on what I saw from the production photos. My opinion changed completely when I received it though. This thing is NICE! And it’s big too! Above, you can see it beside the X-Plus 30cm Series Godzilla 1954 (also from the first wave of Diamond releases). Godzilla 1954 is one of the taller 30cm Series figures and MG here has no problem making eye contact with it! On a sour note: many collectors have received this figure is less than stellar condition. Somewhere in the pipeline the figures were made a tad warmer than they should have been and came out of their boxes in a slightly warped condition. Well, this is soft vinyl and these things do happen. But don’t fret and reconsider sending yours back for a replacement just yet. The problem can be fixed. See my post on Leaning Mechagodzillas and How to Fix Them. 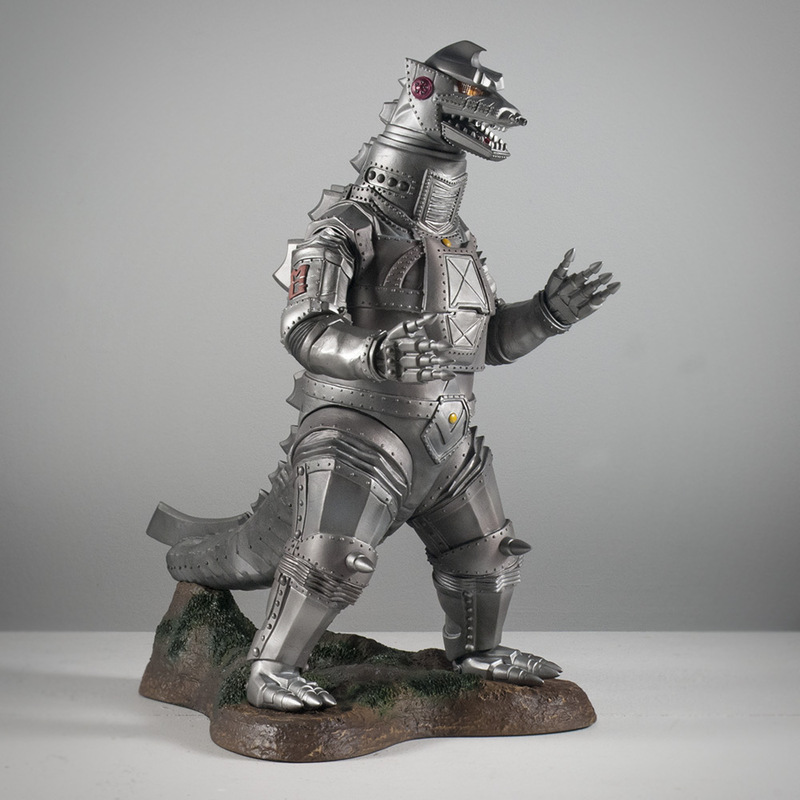 Also, visit Kaiju Addicts to see my Full Review of the X-Plus 30cm Mechagodzilla 1974! Posted on December 2, 2013 1 By John Stanowski	Collector's Update! 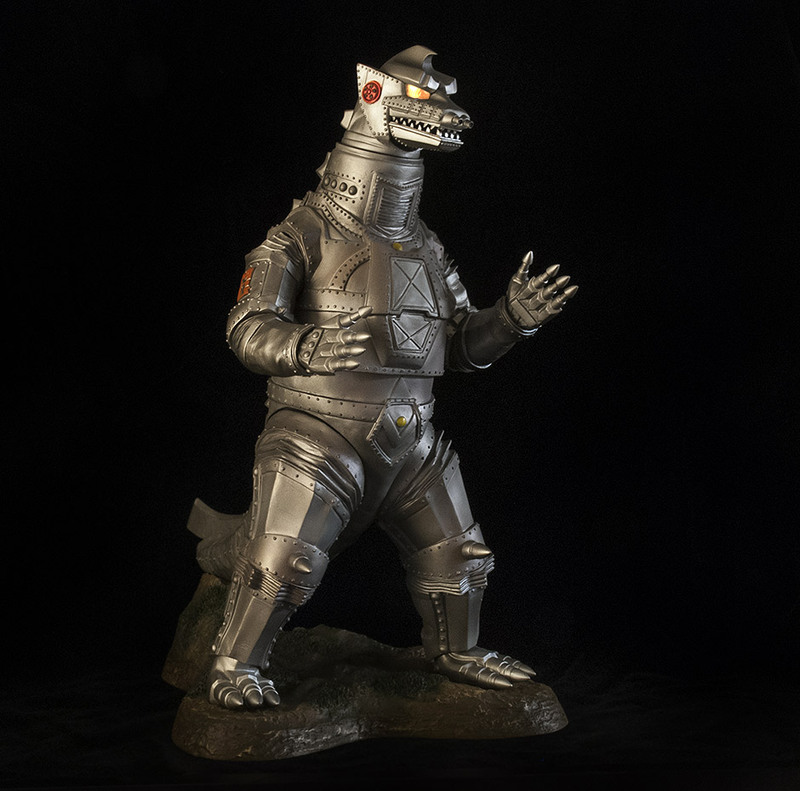 Posted in Collector's Update!, Kaiju Addicts Updates! Next Post Elizabeth Olsen Talks Legendary’s GODZILLA w AICN! Previous Post KFM CHRISTMAS BLOWOUT is HERE! Best Deals This Holiday Season!